Wedding & Celebration Cakes are my speciality! Each cake I create is a one-of-a-kind showpiece for your event. You can choose one flavour per tier of cake from my delicious and highly sought after menu. Initial discussions of your cake can be done over the phone or via email. From there I can determine whether a design consultation is needed. Please note that for wedding cake orders, it is advisable that your event details (including date, venue, and flowers) should be confirmed and booked as the design of your cake can be influenced by these details. Once these items have been confirmed, we can discuss scheduling a cake consultation. We can discuss wedding cake orders up to 12 months in advance. Also, please view my website and Instagram to get an idea of my designs, and pricing before you call to schedule a consultation. 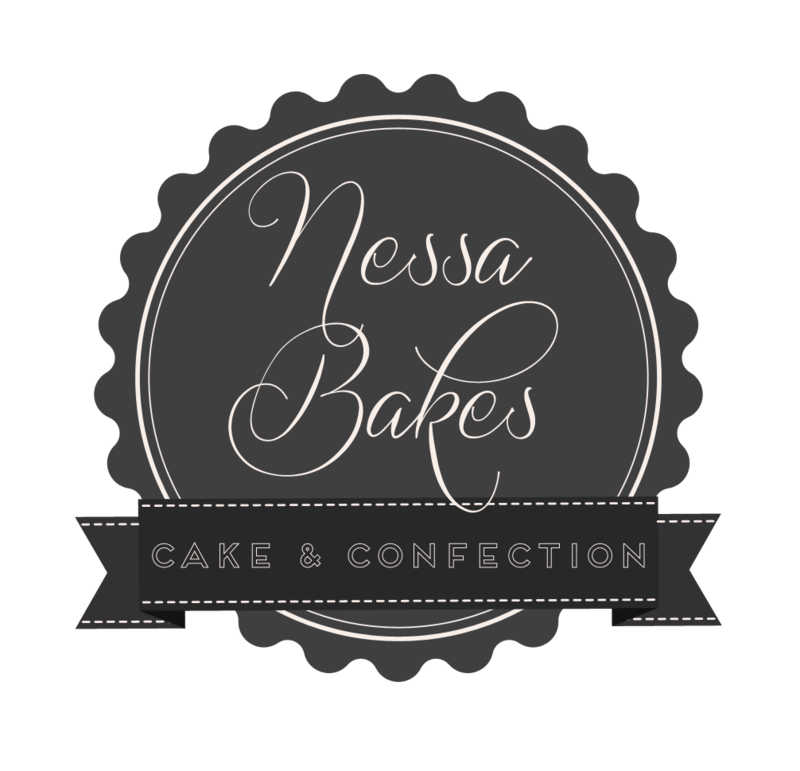 Nessa Bakes offers a complimentary design consultation at my premises for cake orders valued at or over $500. The consultation lasts up to 1 hour. If you are unable to personally attend a consultation, I will be happy to discuss designs over the phone or via email. If you need to cancel or reschedule a consultation, please provide 24 hours notice. I offer a complimentary cake tasting for 2 people. A selection of our best selling cake flavours will be offered at the consultation including: vanilla butter cake with vanilla buttercream, chocolate cake with chocolate buttercream, and red velvet cake with cream cheese frosting. Please call 1 week in advance prior to your consultation so I can have everything ready for you. I do my best to accommodate most budgets. However, taking into consideration that even the simplest of cakes takes up to 10 hours of work, the intricacy of the design will affect the final cost of the cake. This determines whether multiple tiers are appropriate. Whether round, square, a combination of both. Will the cake be served as a late night dessert or served as the plated dessert course? Whether you require a custom sugar design or whether you require fresh flowers. I can liaise with your florist so they can provide the flowers needed for your cake, and I can arrange the flowers on your cake for you onsite. Depending on the design specifications, a few cake sketches may be drawn on the spot during the consultation, or I will email you some cake design sketches. After the consultation, I will send you a quote within 48 hours. This quote is valid for 1 month from the date of issue. A design sketch, along with a cake contract that outlines your event and cake details, will be emailed to you. For weddings, bookings are open from 2 to 12 months in advance. For other occasions, I usually require at least 1 month notice prior to the celebration date depending on the time of year. A 50% deposit is required upon booking and signing. Bookings are based on a first come, first paid basis. The deposit is non-refundable and non-transferable to another date or another person. The balance is due 1 week PRIOR to the event at the latest. Any cancellations prior to the event will forfeit all deposits and payments. I offer free delivery in Brampton and a delivery and set up service for $25 within the greater Toronto area. For delivery areas outside of the GTA, additional fees would apply based on the mileage required. Payments can be made via cash, cheque or electronic transfer.